New book, 408 pages. 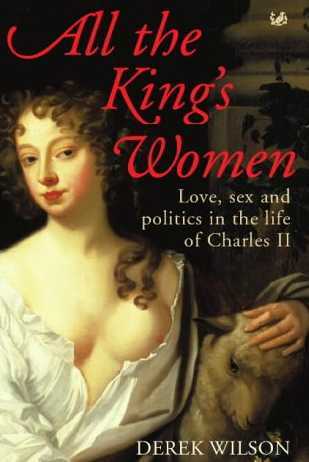 In a society that was shaken loose by violent conflict, the role of women changed radically and Charles enjoyed the company of strong women - the leech-like Lady Castlemaine; 'dearest Fubs' Keroualle; the outrageous Nell Gwynn; his domineering mother; his 'pushy' nurse, Christabella Wyndham; his much loved sister; his only great love, Lucy Walter; and his long-suffering wife, Catherine of Braganza. It is this remarkable miscellany of relationships that Derek Wilson explores to reveal Charles II's character, the course of political events, and the fate of the dynasty.